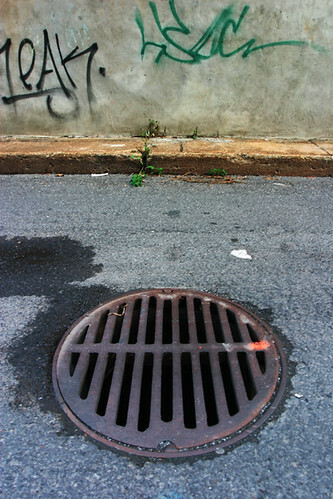 Plateau Alley Sewer Cover a photo by Sol Lang on Flickr. A composition of graphic elements that convey a time and a place most city dwellers can relate to. Memories from the time we were children, playing on the streets or back alleys of our neighbourhoods. To see more of my work, please go to my web site.